Vazhaipoo Thoran| Poriyal| Banana blossom stir fry my mom makes it when ever we harvest banana bunch. It is easy to make and packed full of nutrients. I have already posted Vazhaipoo Vadai and Vazhai poo Kuzhambu recipes in my blog. 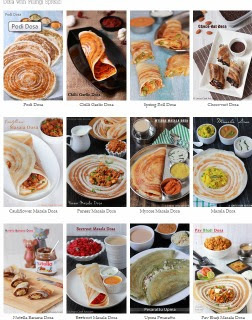 This is an quick fix recipe to suit the South Indian palate. It goes well with steamed rice paired with sambar, rasam and also curd. Apart from the cleaning part the cooking is so easy and will not take much time. Vazhaipoo has many health benefits, treats infections and prevents the growth of pathogenic bacteria. The antioxidants present in banana flower prevents premature aging and cancer. Reduces the menstural and and excessive bleeding during mensturation in women. Manages diabetes and anemia. It is a rich source of vitamins and minerals. As it is a rich source of magnesium it acts as an antidepressant; boosts the mood and reduces anxiety. Boosts the milk supply in nursing mothers. Clean the vazhaipoo by removing the center stiff stick (pistil)and the scale. Chop the flower and soak them in water to avoid browning. Discard the water and again fill with some more fresh water before cooking. In a blender jar add the coconut, jeera, garlic and red chilli powder. Blend once or twice to make a coarse paste; set aside. Heat oil in a pan and splutter mustard seeds and then add the curry leaves and dry red chillies. Now add the chopped onion and green chillies. Once the onion becomes translucent drain the water from the chopped banana blossom and add with some salt and turmeric powder.Cover it with a lid and cook till soft. Now add the coconut paste and mix well with the banana blossom and cook for a minute and switch off the flame. 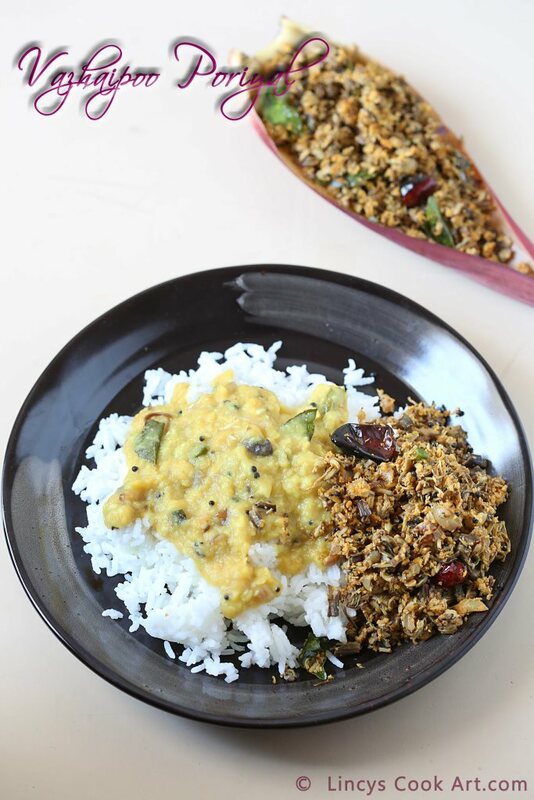 Note: You could add jeera while tempering and chopped garlic with onion and chilli powder while adding turmeric and finally add the grated coconut to avoid using blender in this recipe.